The experienced journeymen at Central Garage Doors are prepared to install your new garage door whenever it is convenient for you. Whether you want to replace an existing residential door or need a secure, attractive door for your new business in San Jose, CA, we are here to help. We carry a large inventory of garage door designs to make it simple for you to choose the one that works best for your situation. All of our garage doors are constructed from the highest quality materials in order to meet with your complete satisfaction. The first step is to meet with you in person to determine the features and appearance of your new garage door as well as your budget for the project. 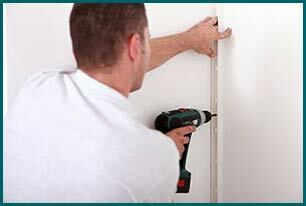 We then visit your residential or commercial property in San Jose, CA to measure the correct size of your door. This allows us to write an estimate so you know exactly how much to budget for new installation. We then carefully install your new door. Central Garage Doors guarantees that the new door will fit perfectly in the space allotted for it.